Check out this latest selection of Spring Bridal Shower Invitations, ranging from more traditional floral designs through to modern mason jar inspired layouts. 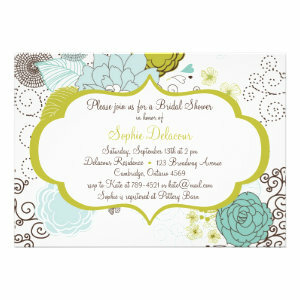 These beautiful Spring Bridal Shower Invitations are perfect for getting your party celebrations off to a good start. Filled with gorgeous designs of gardens, flowers, butterflies, cherry blossom, and all the charm of spring. 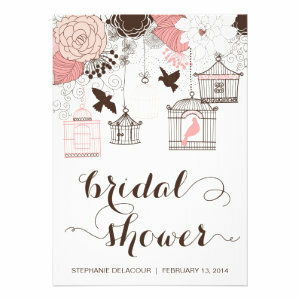 These lovely invites are suitable for almost all kinds of spring bridal shower party no matter what theme. Some of the more popular ideas for a spring bridal shower are having a garden party, going away for a Spa weekend, hosting a Champaign and nibbles party, or having a girls night in and sleep over. Whatever kind of celebration you are thinking of having we aim to make it a little bit more special for you and your guests. 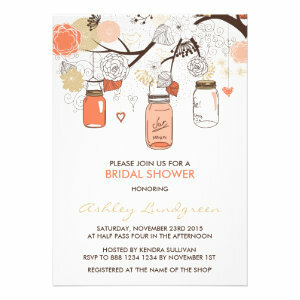 All of the spring bridal shower invitations can be personalized. Simply change the text, font, style, colour and layout. 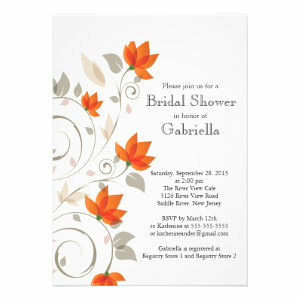 Choose from a number of paper types and finishes to make your invite just how you want. 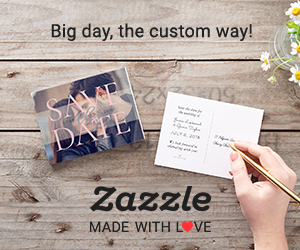 Personalized invitations add a special touch to your announcements without costing as much as bespoke invites, while still giving you full control over your design. Our Spring bridal Shower invitations are a lovely way to announce your upcoming plans to your family, friends and party guests.